KSU’s Markeith Cummings: A-Sun P.O.W. 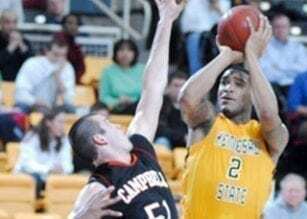 The Kennesaw State Owls defeated the Camels of Campbell 78-64 at home in the KSU Convocation Center. In a Traditional Area tournament, a wrestler has to place fourth or higher to be able to move onto sectionals.